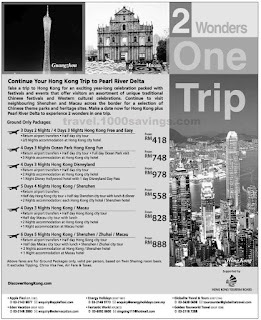 Take a trip to Hong Kong for an exciting year-long celebration packed with festivals and events that offer visitors an assortment of unique traditional Chinese festivals and Western cultural celebrations. Continue to visit neighbouring Shenzhen and Macau across the border for a selection of Chinese theme parks and heritage sites. 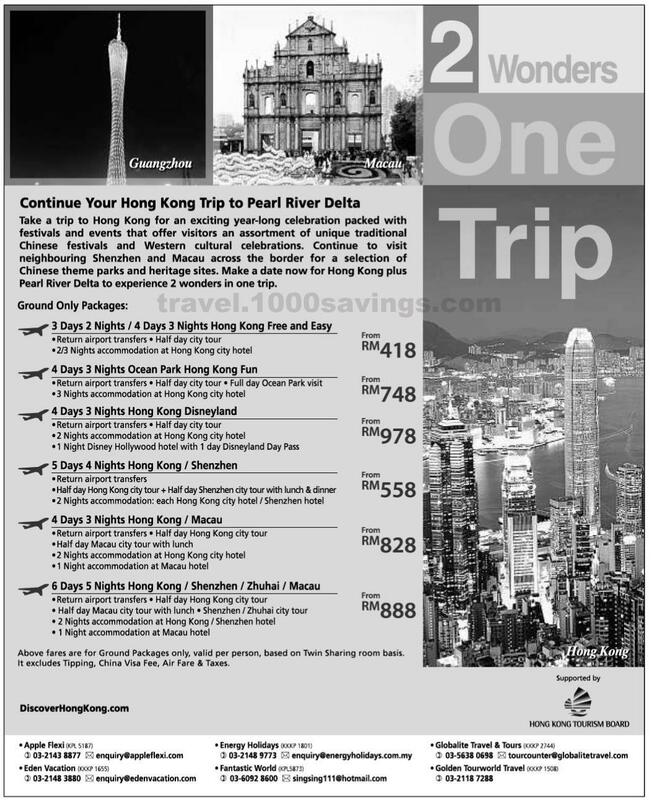 Make a date now for Hong Kong plus Pearl River Delta to experience 2 wonders in one trip. 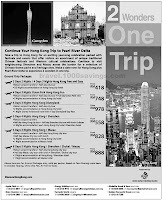 Fares are for Ground Packages only, valid per person, based on Twin Sharing room basis. It excludes Tipping, China Visa Fee, Air Fare & Taxes.